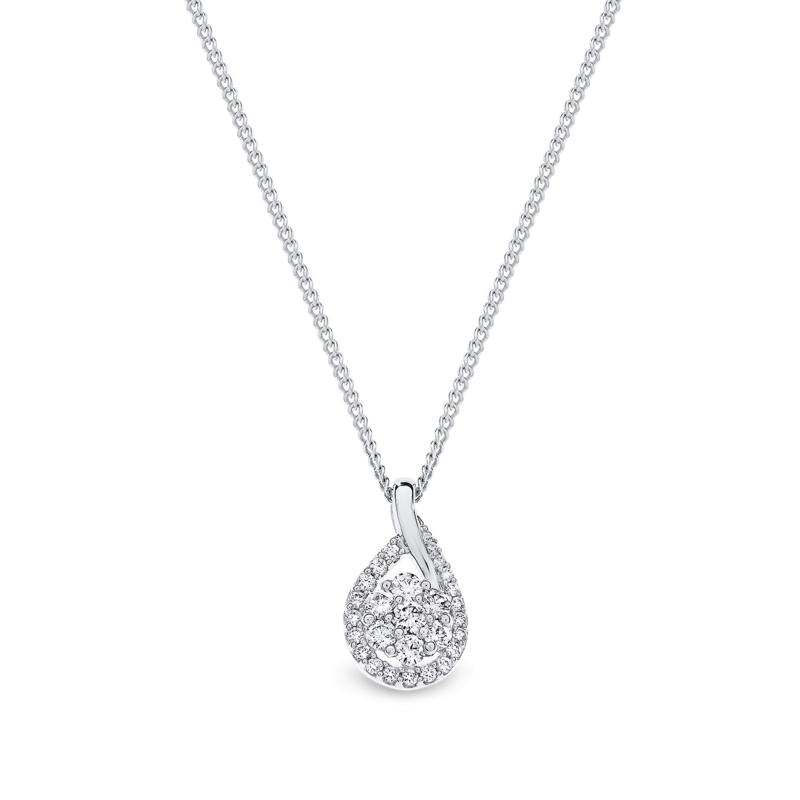 18ct white gold and diamond necklace featuring round brilliant cut diamonds in a delicate cluster. Elegant and versatile, this piece is ideal for daily or occasion wear. Pendant and necklace sold separately. Available in a range of diamond carat weights. Available in 18ct white, rose and yellow gold or 950 platinum.